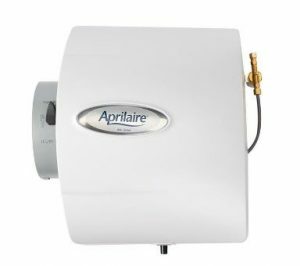 The Aprilaire 600 is one of the best-performing bypass humidifiers on the market. The humidifier is a whole-home solution that helps you achieve total comfort through humidity control. The model 600 uses the furnace blower to move air through a Water Panel®. Delivers up to 50% more moisture than competitive units. Evaporation capacity of 0.70 gallons per hour.